A compact yet versatile all in one inkjet device with good quality results and photo print capability, that's the Canon Pixma MP282 in a nutshell for you. The printer has clear intentions of excelling at the photo printing, with a resolution so 4800 x 1200 dpi and borderless printing option, the photo prints from Canon Pixma MP282 have a good quality output. The speeds range from 8.4 ppm for monochrome prints to 4.8 ppm for coloured printouts. The 2 Canon Pixma MP282 Ink Cartridges are meant to give high quality prints as well as control printing costs. they have a capacity for 244 and 220 pages respectively for the colour and black cartridges. The printer is a very compact unit with a 100 sheet input tray. The scanner has a resolution of 1200 x 2400 dpi which produces decent quality scans. The accompanying software bundles make Canon Pixma MP282 highly capable. While the ChromaLife100 increases the durability of the printouts along with their beauty, the Easy Print and Auto Photo Fix help in editing and enhancing the photos before sending them for print. The Full HD movie print enables printing of high quality images directly from movies. Combined Canon Pixma MP282 Ink Cartridges with 3 colors, increases print cost and wastage. 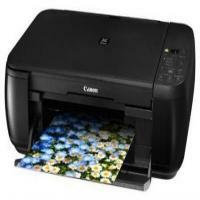 Canon Pixma MP282 is aimed to be a good image printer for home usage. It does its job well here and gives good prints and scans. Some more connectivity options would have made this a very good option for home as homes these days are so connected that smartphone compatibility is a must for any device. The Canon Pixma MP282 printer is an all-in-one printer that finds its uses in homes and offices. It has a good print quality and if it works best if you want basic printouts often. It falls well-within the budget. A set of Canon Pixma MP282 Ink Cartridges come as consumables along with the printer. There are many other softwares and additions that are offered with the printer. Though operating the printer is not difficult, you may face certain issues which require proper handling of the machine. One of such problems occurs when the holder that carries the Canon Pixma MP282 Ink Cartridges does not move. Do not try to movies forcefully, your printer is at a risk of damage. For the cartridge holder to move, the power must be on. Check that the printer has been turned on and the green light is visible. If the printer is not on then turn on the power. In case you turned the power on and still the cartridge holder is stuck, go to the next step. The printer warns you about any errors occurring in the machine. You will have to check the LED screen. The scanning unit will have to be closed first and then check for the message. If you see any, then resolve the issue and open the scanning unit again. If the scanning unit of the printer is left open for more than 10 minutes, the cartridge holder moves to the right and stays in place. This function occurs to protect the Canon Pixma MP282 Ink Cartridges from drying up. Close the scanning unit once and open it again. The cartridge holder will move. If you print for a long period of time, the print head may get overheated. To prevent the printer from any further damage, the holder moves to the replacement position and stays there till the temperature of the machine drops. Q. For my home usage, I’m looking for a printer that has good speed and good quality for image printing. Do you provide such printer? A. For good printing speed and good image quality, Canon Pixma MP282 printer would be a perfect option. The printer has excelling print quality with a resolution of 4800 ✕ 1200 dpi. Also, the printer supports full HD movie print. Unfortunately, we do not offer any printer at our site. We only deal in cartridges and other printer consumables like paper. You can buy compatible Canon Pixma MP282 ink cartridges from our site. And for the printer, can refer to other online websites available. Q. Can you provide quick delivery of compatible Canon Pixma MP282 ink cartridges whenever a need arises? How can I avail quick delivery service? A. We offer services like quick delivery, easy returns, etc. on our products so that you can enjoy an easy and smooth shopping experience. All our orders are delivered by Fastway Couriers to avail quick delivery, you need to place your order early in the day, before 12:00 noon. If your product is available and there are no external issues in the environment, you will receive your order promptly within a day or two. Q. Can I expect money-back guarantee on purchase of Canon Pixma MP282 ink cartridges from your site, in case I wish to return them? A. Yes, we offer a money-back guarantee and facilitate refund as well as exchange for the items returned to us. Q. Is it possible to perform scan, copy and fax functions using this printer? A. User can perform scan and copy functions with this printer but the printer lacks in fax function. Q. What is the input tray capacity of this printer and the capacity of 2 Canon Pixma MP282 ink cartridges? A. The input tray capacity for this printer is 100 sheets. The 2 Canon Pixma MP282 ink cartridges have the capacity of printing 244 and 220 pages for the colour and black cartridges respectively. Q. I purchased a new Canon Pixma MP282 printer and also bought the Canon Pixma MP282 Ink Cartridges along with it, but they don’t seem to be compatible with the printer. Please tell how can I select the compatible ink cartridges for my printer? A. All the compatible Canon Pixma MP282 Ink Cartridges that are designed to work with the Canon Pixma MP282 have listed above on this page. 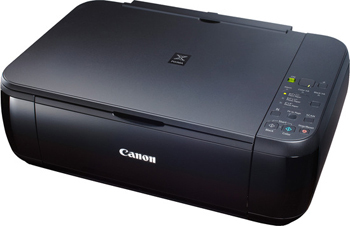 You can either go with the compatible Canon PG512 or with the Canon CL511 both will work great for your printer. Q. I attempted to feed the paper for printing, but not able to do so. What is the issue? A. If the Paper Feed Roller is messy or paper powder is attached to it, the paper may not be fed correctly. In such case, clean the paper feed roller. Cleaning it might destroy the roller, so perform this carefully and only when required. Q. I need to check the ink status of my printer so that can carry out suitable action when the cartridges are out of ink. How can I do this? A. You can check the ink status with the ink lamps on the operation panel or on the computer screen. The ink level detector is mounted, to detect the remaining ink level in the machine. The machine considers as ink is full when a new Canon Pixma MP282 Ink Cartridges are installed, and then starts to detect the remaining ink level. If you install a used FINE Cartridge, the indicated ink level may not be shown correctly. In such case, refer to the ink level information. When the remaining ink cautions or the error occurs the error code displayed on the LED will inform you of the particular error. Q. What is the expected shelf life of the Canon Pixma MP282 Ink Cartridges? A. 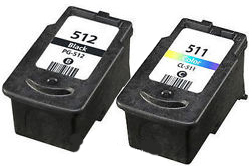 The expected life of the ink cartridges is around 6 months, but if you regularly print through the cartridges and carry out the proper maintenance operations then the life could be extended to 12 months. Q. What type of functions should be performed when the printer ran out of ink? A. One should perform following functions when the ink error message is displayed on the screen: It is recommended for you to first clear the error message by pressing and holding the machine’s (Resume/Cancel) button for at least 5 seconds (this may vary depending on your printer model, so please refer your printer user manual for complete instructions). Q. My cartridges got empty and I need to replace them. What steps should I follow while replacing the cartridges for the first time? A. When the ink runs out while printing is in progress, the error code will appear on the LED. The alarm lamp will light up and ink lamp will start flashing. This means that the Canon Pixma MP282 ink cartridge has run out of ink and immediately need replacement. Q. The printer I was using have some print quality issues, which are probably due to clogged nozzles. How printing the nozzle check pattern will improve the print quality of my printer? A. To resolve such printing issues print the nozzle check pattern to test whether the ink ejects properly from the print head nozzles. To Examine the nozzle check pattern, clean the printheads if necessary. Check if there are any missing lines or horizontal white streaks in the pattern. Check if the horizontal white streaks are present in the pattern.